It's not easy to "win" a visa in the high-skilled labor market. The program was introduced by former Gov. Deval Patrick last year as the first of its kind in the country. But it was cut earlier this year as Gov. Charlie Baker tried to balance a $768 million budget deficit he inherited when he took office. Baker requested $100,000 for the program in his FY16 budget proposal, and the budget approved by the House Wednesday honors that request. "The catalyst was when the immigration reform efforts in Washington failed," Bussgang told me when we met at his swanky Back Bay offices. "We're in a race for talent." Bussgang's idea links up foreign entrepreneurs with a local university. "If you volunteer five to 10 hours a week, where you're mentoring students, teaching, what have you, you can then be officially affiliated with that university," he explained. "By being tied to a university you are, in effect, given a free pass," Bussgang said. It's a little-known loophole in the H-1B visa process: Universities are exempt from the quota. And once you've gotten that H-1B visa you're free to stay in the country and work on your startup. "I teach at Harvard Business School," he said. "And at the end of my class I would have all these incredibly brilliant students come up to me and tell me about their startups that they were working on, and yet they couldn't stay to launch those startups here in the U.S. when they've been spending the last two years working on these startups right under our own roof." One of those students was 31-year-old Bryan O'Connell from Ireland. He's a guy who dresses like many Silicon Valley entrepreneurs — a casual button-down shirt and sneakers. O'Connell had wanted to snag an H-1B visa and use it to start a company in the American health care sector. "The plan had been to build a company in the U.S., specifically I was thinking Bay Area at the time," O'Connell said. "But the visa system intervened, so I ended up actually just moving back to Ireland for a while." Then one day O'Connell saw a tweet from Bussgang about the state's Entrepreneur in Residence Program. With state funding, UMass Boston agreed to sponsor O'Connell's visa and within weeks he was back in the U.S. He's one of the first two people to go through this pilot program. "The company is a technology platform that allows consumers to connect directly with doctors. So for minor illness treatments or simple prescriptions, consumers can text or video chat with a doctor and be immediately put in contact and have a prescription sent to their local pharmacy," he explained. Already O'Connell has two full-time employees. He intends to move them to Massachusetts and base his company in Boston. "You know, I like Boston, spent a lot of time here, went to school here, but the visa played a huge role," he said. "These entrepreneurs, they're going to start these companies no matter what, they're just gonna do them outside of the U.S. or outside of the state if we don't put something in place like this to attract them and retain them," Bussgang said. But Bussgang prefers the state's stamp of approval to send a signal that this workaround is legal, and foreign entrepreneurs are welcome in Massachusetts. This segment aired on April 30, 2015. 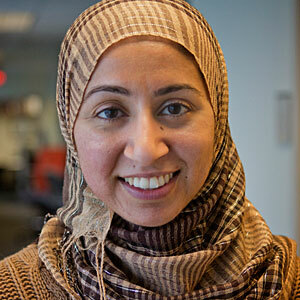 Asma Khalid formerly led WBUR's BostonomiX, a biz/tech team covering the innovation economy.